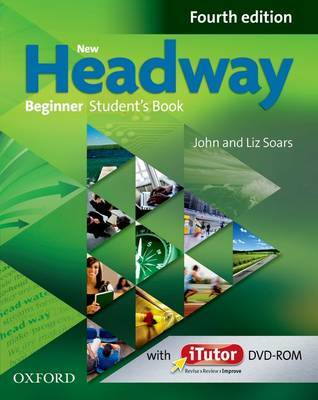 Headway's trusted methodology combines solid grammar and practice, vocabulary development, and integrated skills with communicative role-plays and personalization. Authentic material from a variety of sources enables students to see new language in context, and a range of comprehension tasks, language and vocabulary exercises, and extension activities practise the four skills. 'Everyday English' and 'Spoken grammar' sections practise real-world speaking skills, and a writing section for each unit at the back of the book provides models for students to analyse and imitate. Packaged with the Student's Book is the iTutor DVD-ROM which allows students to revise, review and improve their English outside the classroom.